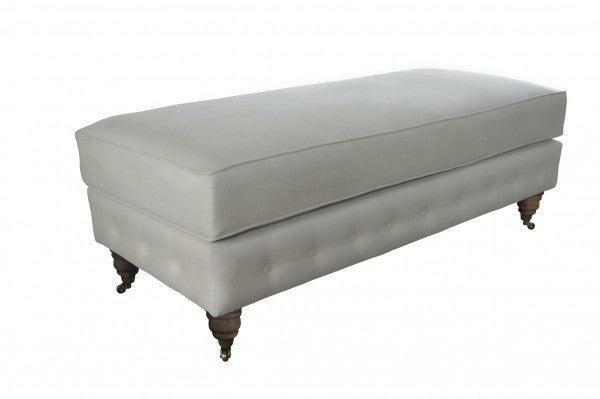 Classic linen upholstered ottoman would sit beautifully in any decor. 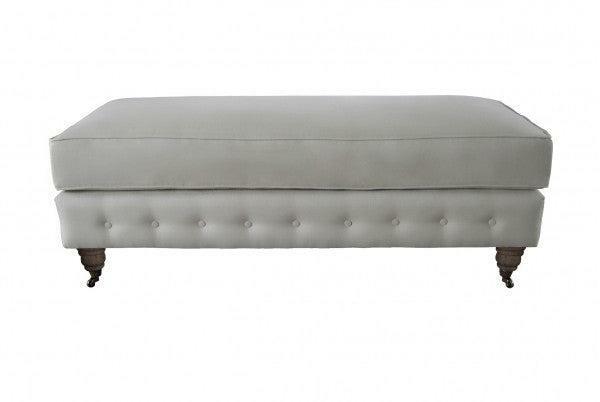 It features a plush feather and foam filled piped seat (removable) with button detail on the base and castor legs. 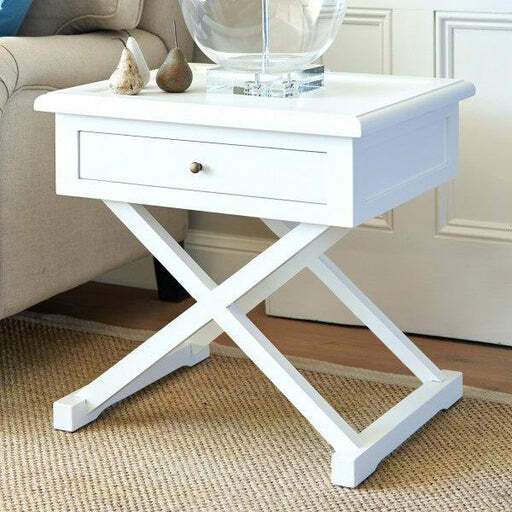 Use it as extra seating or a coffee table. 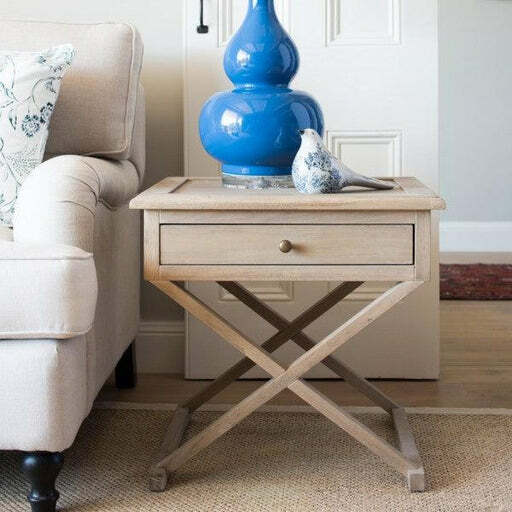 Please note that the ottoman will only take up to 80kgs seated. 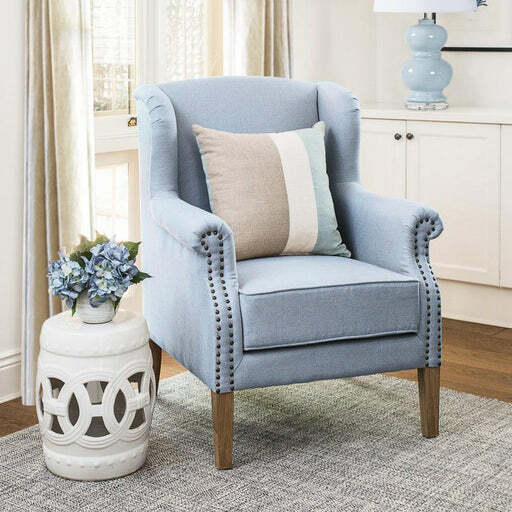 Linen Care: To remove surface stains from your upholstery, dab the affected area gently with lukewarm water and a wet cloth. 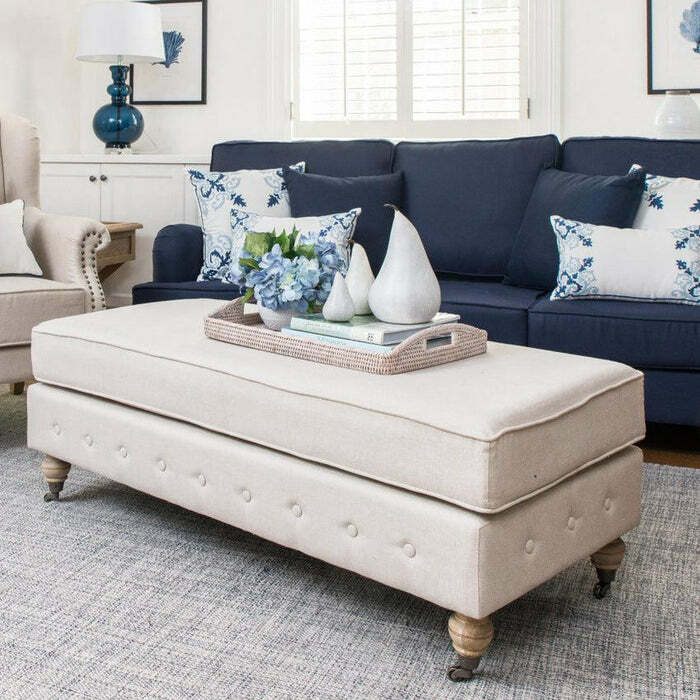 For deeper stains, a professional linen upholstery cleaner is required. Removable covers can be dry cleaned. Do not machine wash as it will shrink the linen.